The World Players of Handball and the thriving handball community of Juarez, Mexico were thrilled to debut the Junior WPH “Naty Gonzalez” cd. 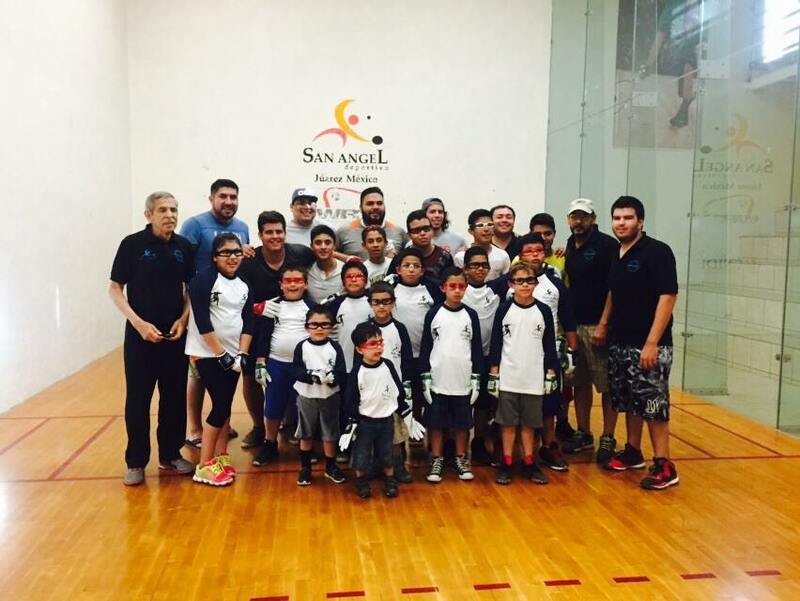 Juarez junior handball program at Juarez’s San Angel Athletic Club. Junior WPH “Naty Gonzalez” cd. Juarez Head Coach Drft Fernandez led the first of the bi-weekly clinics in the handball hotbed, featuring 20 youngsters between the ages of 4-18 on the first night of practice. What a turnout! WPH Race 4 Eight IV Rookie of the Year and USHA Men’s Collegiate National Champion Daniel Cordova assisted Fernandez in coaching the session on the courts in which he played as a junior on his ascent to the top of the sport. “Along with mini-handball and throwing, we also introduced the sidearm stroke. The kids were really having a great time,” stated Cordova. Junior WPH has held over 2,000 clinics over the past 27 months and is now focusing on developing thriving junior handball programs led by enthusiastic handball mentors to inspire the next generation of handball players. Do you have what it takes to start and build a junior handball program in your community? The WPH wants to help you! Click Here for more information.